The Porsche Active Suspension Management (PASM) air-suspension system is a smart option to add to the list; it improves ride quality and handling significantly over the base suspension. The 2013 Porsche Cayenne spans a wide range of capabilities, from basic family hauler to track-worthy sports SUV, with a few stops in between--including a brand new diesel. Though it's been in Porsche's range for nearly a decade, the Cayenne remains a controversial subject for brand loyalists who see the sports car as the true heart of the marque. Nevertheless, the Cayenne's success for Porsche can't be denied, and with the addition of a new diesel model for the 2013 model year, it looks as though its position will be further solidified. That's a very good thing for SUV lovers, however, as the Cayenne is one of the best in the business. It has a unique look--one that not everyone will love. Wrapping a rough approximation of the 911's curves around the large SUV results in a smooth, curvaceous, swooping form that sits at odds with most of the rest of the large SUV segment, which is largely composed of squared edges and bluff faces. Inside, the Cayenne is even less typical, with a coupe-like cockpit up front, with curved surfaces and upscale materials. All models now come with an analog clock for 2013. The five different variants in the Cayenne range include the base model, powered by a 300-horsepower 3.6-liter V-6 engine; the Cayenne Diesel, all-new for 2013, with a 240-horsepower 3.0-liter V-6 turbodiesel engine; the Cayenne S, rated at 400 horsepower from a 4.8-liter V-8; the Cayenne S Hybrid, good for 380 horsepower from its combination of electric motor and a supercharged 3.0-liter V-6; and the Cayenne Turbo, the speed demon of the group, rated at 500 horsepower from its twin-turbocharged 4.8-liter V-8. Even base Cayennes are relatively quick, getting to 60 mph in 7.4 seconds with the Tiptronic S automatic transmission, or 7.1 seconds with the six-speed manual. The more potent models are even quicker. 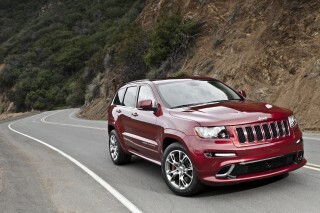 The Tiptronic S eight-speed automatic is the only transmission offered on non-base model Cayennes. Each of the five flavors also offers its own set of design and features as part of the package, wrapping its five-passenger interior in slightly different trims, though each offers an almost impossibly multi-faceted list of upgrades and customizations. Seating is comfortable and supportive, and the materials and fit and finish are all top-notch. 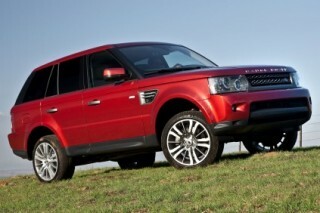 Ride quality can be a bit stiff, however, particularly in the sportier models. Our editors strongly recommend the Porsche Adaptive Suspension Mangement (PASM) air-suspension system, which improves the ride signficantly while also improving handling. Priced from just below $50,000 to nearly $150,000 (or more with enough options), the Cayenne offers a respectable base set of features--nearly complete, in fact, with all of the luxury, connectivity, technology, and comfort features you'd expect. Bluetooth, iPod/USB, and more are all standard. Optional upgrades include navigation, a panoramic sunroof, a heated windshield, and Bose or audiophile-grade Burmester sound systems, plus a wide variety of wheel, trim, paint, and upholstery options. 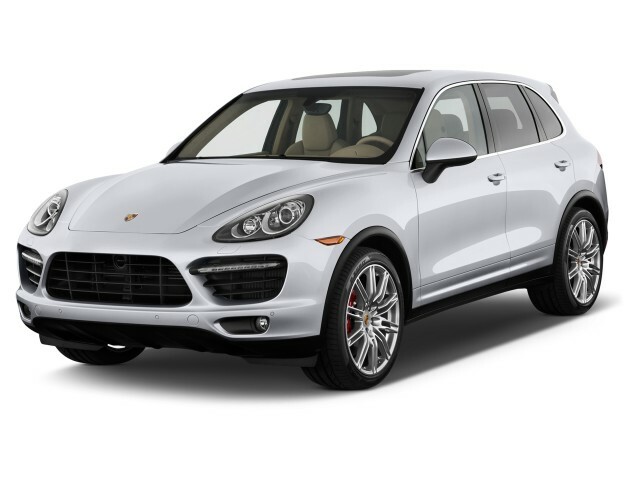 The 2013 Porsche Cayenne has the Porsche look, but not everyone will warm up to the SUV shape; inside, the Cayenne is every bit a luxury vehicle. The 2013 Porsche Cayenne has a unique look relative to other SUVs—but it's not one that everyone will love. It's a far cry from the design of Porsche's legendary sports cars, like the legendary 911 and now-iconic Boxster, but it does have just enough of those models' style and panache. The cabin is characterized by a sweeping yet cockpit-like instrument-panel arrangement, with plenty of curved surfaces, sculpted vertical vents, a sloped center console, and upscale materials—borrowing here and there from the stunning Panamera four-door's interior. Matte-metallic brightwork cheers it up from the drab appointments of Cayenne models past, while there's generally a coupe-like feel from the driver's seat. Visual variation between models in the lineup—including the Cayenne Hybrid—is quite subtle, with wheels and badging being the main differentiators. Among SUVs, the 2013 Cayenne ranks as one of the most fun-to-drive--even in Hybrid or Diesel guise. Across most of the 2013 Porsche Cayenne model line—and that includes the new Cayenne Diesel—you get strong, satisfying performance. Depending on your expectations, the only exception to that might be the base Cayenne V-6; with its higher power and weight loss since the Cayenne's redesign a couple of years ago, the base Cayenne and its 300-horsepower 3.6-liter (VR6) V-6 engine is sharp enough to execute quick passes—and relatively fuel-efficient—but it's not much quicker than the punchier V-6 minivans on the market (7.1 seconds to 60 mph). A six-speed manual is standard on the base Cayenne, while Cayenne S, Turbo, and Hybrid models get the eight-speed Tiptronic S automatic (it's optional with the V-6). All Cayennes have all-wheel drive. 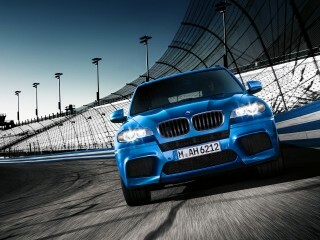 Above the base model is the Cayenne S, which performs considerably better and packs a 400-hp, 4.6-liter V-8 engine. 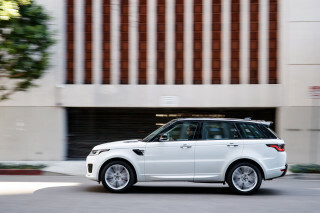 Zero-to-60 mph times are shortened to 5.6 seconds, top speed is 160 mph, and the brawnier powertrain is a more appropriate fit for the look and feel of this performance SUV. New for 2013 and slotting between the base model and the Cayenne S is the Cayenne Diesel. While the diesel is rated at just 240 horsepower, from its 3.0-liter V-6 turbodiesel engine, it's the substantial 406 pound-feet of torque--37 lb-ft more than the Cayenne S and 111 lb-ft more than the base Cayenne--that really matters. The Diesel can get to 60 mph in just 7.2 seconds--faster than the automatic version of the Cayenne V-6, with a top speed of 135 mph. And like the rest of the Cayenne lineup, it carries a 7,716-pound tow rating. The Cayenne Turbo remains oriented toward those who want the most performance, and performance that's more on par with Porsche's sports cars; it gets a 4.4-second 0-60 time from a 500-horsepower turbocharged 4.8-liter engine and a top speed of 172 mph. Yet another model new for this year is the Turbo S. It gains 50 horsepower over the Turbo's 500 hp, plus an extra 37 pound-feet of torque (554 pound-feet in all)--plus a Dynamic Chassis Control system and Torque Vectoring Plus, to help get all that power to the pavement. Meanwhile, a new Cayenne GTS model slots in between the Cayenne S and the Turbo; it gets 20 horsepower more than the Cayenne S, as well as a lowered (20 mm) suspension, lower final-drive ratio, and other appearance upgrades. Performance for the GTS slots in between, as you might guess, at 5.4 seconds and 162 mph. Rounding out the lineup, and appealing to those who want to be a little greener but not give up the engaging driving experience, is the Cayenne S Hybrid. With its hybrid system, combining an electric motor system and a 3.0-liter supercharged V-6 engine, it makes 380 horsepower, with a top speed of 150 mph. Off-road ability remains a cornerstone of sport-utility vehicles, and while the Cayenne keeps weight under control in going with a more carlike 4WD layout, it hasn't completely abandoned rugged trail ability. While the latest generation of the Cayenne no longer includes a dual-range transfer case, it does get the electronic Porsche Traction Management system, which offers three modes for loose sand/snow, wet surfaces and mud, or rocky terrain. Whether flat, uphill, or downhill, PTM controls the throttle and individual brakes in complex ways to make the most of available traction. The 2013 Porsche Cayenne is a comfortable, spacious luxury vehicle--although cargo space is a bit compromised. As Porsche has evolved, it's now as much of a luxury brand as a sports car brand, and the 2013 Cayenne is one of the models that most reflects the luxury side of that mission--without forgetting about the performance side, of course. Compared the Cayenne to a Mercedes-Benz, Infiniti, or Lexus, and you'll find top-notch fit and finish. About the only issue some might find is that the Cayenne sacrifices some cargo space in order to prioritize the passenger space. Supportive, comfortable sport seats are what you'll find in front throughout the entire model range; drivers of all sizes should be able to get well-positioned, with decent visibility and a beltline that isn't too high. Rear passengers are able to slide fore and aft, more than six inches if you're willing to give up some cargo space; and the rear seatback angle adjusts. If folding down the back seats and hauling larger pieces of cargo are part of your normal routine, you might want to double-check the space available in the Cayenne. The rear seatbacks don't fold completely flat, limiting the usefulness of the space, and actual cubes aside its a notch smaller than you might expect from a vehicle this size. Hybrids tend to give up some cargo space, typically, but that isn't the case here as Porsche has packaged the battery packl down below, where the spare tire would otherwise go. Even though there's a lack of official safety ratings, the Cayenne offers plenty of active and passive features to put you at ease. Neither the National Highway Traffic Safety Administration (NHTSA) nor the Insurance Institute for Highway Safety (IIHS) typical test high-priced luxury vehicles. And with its niche-model status relative to other SUVs, the Cayenne is no exception. Safety equipment in the Cayenne is very good, however. Standard items include anti-lock brakes, traction and stability control, a full complement of airbags; pay a little more and you can get active-safety options like Adaptive Cruise Control, Lane Change Assistant, and dynamic lighting. Whether on- or off-road, the Cayenne's especially capable handling may also prove a safety asset, helping to avoid obstacles and accidents; on the trail, hill descent control and speed-set control help keep it safe. The base 2013 Porsche Cayenne is surprisingly affordable and well-equipped--though you can push the price through the roof with options, upgrades, and accessories. 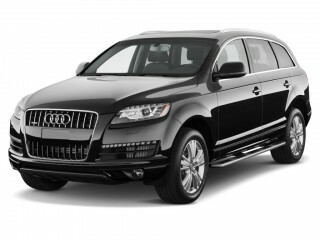 Like many luxury vehicles, the 2013 Cayenne spans a vast price range (from just below $50,000 to $150,000 or more). And while the top Turbo S models are arguably worth it from a performance standpoint alone, what you get at the base end of the lineup isn't shabby at all. Base V-6 Cayenne models offer a respectable base set of features--nearly complete, in fact, with all of the luxury, connectivity, technology, and comfort features you'd expect. Bluetooth, iPod/USB, and more are all standard. Optional upgrades include navigation, a panoramic sunroof, a heated windshield, and Bose or audiophile-grade Burmester sound systems, plus a wide variety of wheel, trim, paint, and upholstery options. These available high-end options really add up though. Turbo S aside, it's easy to push the Turbo as high as $125,000-$150,000 when loaded with all of the extras, plus high-end design features like custom Porsche wheels, paint, and upholstery. Porsche's button-focused control scheme might seem busy at first, but we wager you'll warm up to it, as it escapes the complexity of screen-based, joystick-controlled systems like BMW's iDrive and Audi's MMI. The 2013 Porsche Cayenne isn't as irresponsibly thirsty as you might think--and the new Cayenne Diesel gets almost 30 mpg on the highway. Size the 2013 Porsche Cayenne up as what it is--a big, high-performance SUV--and you're not likely to have very high expectations about fuel efficiency. But you might be pleasantly surprised; especially in Diesel and Hybrid form, the Cayenne could be called responsible, at least in some circles. The new Cayenne Diesel factors in at an excellent EPA-rated 19 mpg city, 29 highway The Cayenne V-6 and S Hybrid (20 mpg city, 24 highway) models are better than many of the alternatives, too, particularly when you factor in on-road performance capability. Base Cayenne V-6 models with the standard manual transmission rate at 15 mpg city and 22 mpg highway according to the EPA. The optional eight-speed automatic improves the score to 16/23 mpg, for a combined rating of 19 mpg.